Beauty Minerals Eye Cream and Exfoliating Scrub reviews! Oh man! I am SO CHEESED OFF. So! Many months ago now, I blogged about how the Beauty Minerals salesgirl sweet-talked me into buying $150 worth of products from her little stall in the middle of the shopping centre. That $150 only bought me 2 products - the eye cream and the exfoliating face scrub. 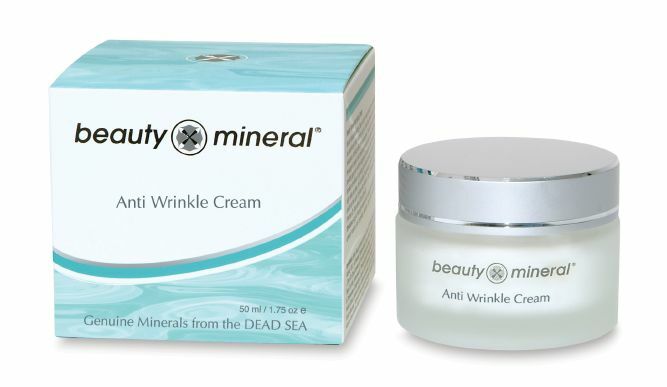 Both claim to have minerals from the Dead Sea which makes them super amazing for your skin (the science says, just because). I've been using the exfoliating scrub for ages, whenever I have the time to do so, but only just started with the eye cream as I only just finished my previous stuff. Exfoliating scrub (the one I got is not on the site any more, but this one is similar). The directions are as follows: Apply to face and neck in a thin layer, leave for 15 minutes, and then rub it off in circular motions. When you rub it off, it actually feels like it's exfoliating your face, and it comes off like eraser rubbings. Do this over the sink! Afterwards, your face really does feel smooth and fresh. It's a lovely feeling! I really like this product. Packaging: Comes in a nice little glass jar with a screw top lid. Easy to access the product. Product: It's like a creamy moisturiser with little bits in it - the apricot grains. That's what is the exfoliating agent. It smells really nice! Super easy to apply. Amount: A pretty good amount! You don't need too much to apply all over your face, so it will last ages. Effect: Great! It really leaves my skin feeling clean, exfoliated, moisturised, and soft. The directions are as follows: Pat around the eye area. Easy! This eye cream claims to do a whole lot of things: reduce dark circles and puffiness, stop wrinkles forming, cleanse pores, etc. Packaging: Again, in a little jar, smaller than the other. Not the best packaging for an eye cream, where you are aiming to get a very little amount on your finger. Product: It's very thick, for an eye cream. More like cheese than cream. Very difficult to get a small amount on your finger, due to viscosity and packaging. Amount: You get a good amount, it would last a long while. Effect: I've only used this for two nights. It's irritated my eyes so much they've been watering and burning all night. I've hardly slept at all! So it has NOT reduced dark circles and puffiness, because I've been awake all night crying basically! I'm really upset by this stuff. It felt like there was acid in my eyes and I couldn't wash it out. By morning I had cried most of it out. I don't even know why I used it twice! That's my review! One very positive, one very negative. I have sensitive skin! You should tots complain to them! If it's that expensive they have an obligation to make it not rubbish! The guy that sold the eye cream to me warned that my eyes might water when I first start using it but that effect will dissipate in time. I'm only on the second night of use myself but I didn't get the full effect you're describing, it feels more like I have been crying rather than making me cry. Bori's right, you should contact them, sounds like something's gone wrong. I know right, I learnt the hard way! Always do your research first. I'm so sorry to hear that. :/ The prices are *ridiculous*, and the sales people can be very pushy. Informing them about the dodgy eye product sounds like a good idea. All too often, normal facial moisturizers are formulated much too heavy or even drying for use on the delicate skin of the eye, which in turn can make wrinkles stand out even more.